Angela was born in British Columbia, Canada, and comes from a multi-generational family of passionate artists. She started drawing as a child and completed her first commissioned portrait at 15. After 12 years of corporate experience as a Graphic Artist and Art Director, Angela started painting and instructing full-time. 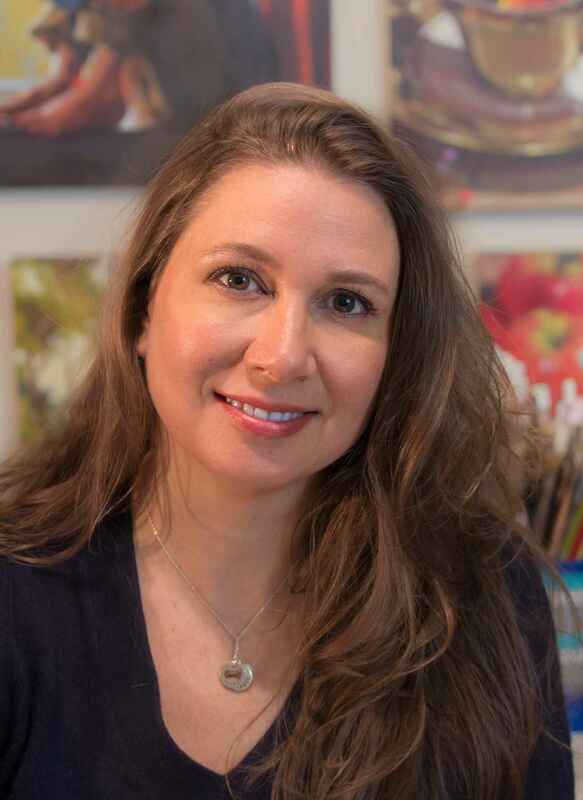 Her award-winning work has been exhibited in shows throughout the United States and Canada and is in the collections of Bartell Drugs, Costco Wholesale, Garrigan Lyman Design Group, and more. She is a Signature Master Member of the International Society of Acrylic Painters (ISAP M), as well as an Associate Member of the American Impressionist Society, National Association of Oil & Acrylic Painters, the Portrait Society of America. Instructing in acrylic and oil, Angela gives workshops and weekly skill building classes throughout the Pacific Northwest. Her teaching style is to share her passion for art in a mellow, thorough way that is easy to understand for the beginner, but engaging for the experienced artist. Classes include presentations illustrating her key points, demonstrations by the instructor, and hands on painting practice. Students regularly return to her classes for her sense of fun and the thorough notes she provides her students. Angela is currently represented by Cole Gallery in Edmonds, WA.